And a certain man . . . they laid daily at the gate of the temple that is called Beautiful (Acts 3:2). The “Beautiful Gate” is mentioned only in Acts 3 and in no other sources, so scholars debate which gate it should be identified with. Some believe that it may have stood near the same area as today’s Golden Gate, which is pictured here. 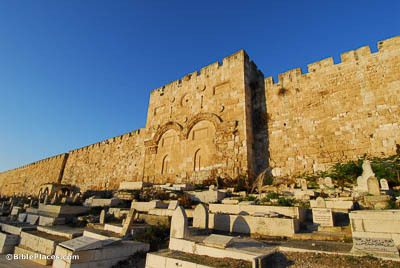 The Golden Gate is the only gate still in existence on the Temple Mount’s eastern side. All the people ran together to them in the colonnade that is called Solomon’s (Acts 3:11). The colonnades of Herod’s temple were all destroyed, but we know from ancient sources that they were very impressive. 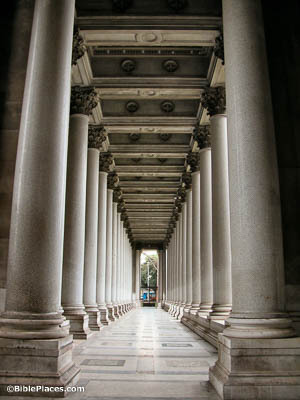 This picture of a modern colonnade at St. Paul’s Outside the Walls in Rome serves to communicate something of their grandeur. Jesus . . . you handed over, and repudiated before Pilate (Acts 3:13). 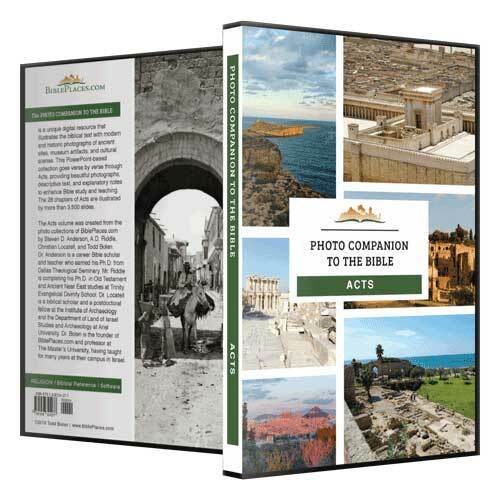 Most scholars believe that this scene involving Pilate occurred in what had previously been Herod’s palace. 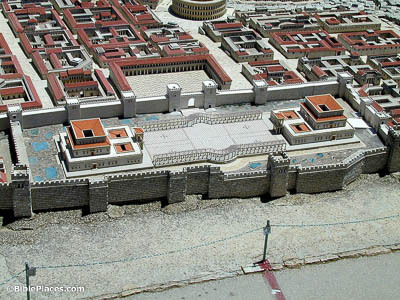 This model represents a scholarly reconstruction of what it may have looked like, along with a public square where the leaders and the people stood while Jesus was being tried. All the prophets from Samuel and those who came after . . . told of these days (Acts 3:24). This building at Nebi Samwil (which means “Prophet Samuel” in Arabic) houses both a mosque and a synagogue. 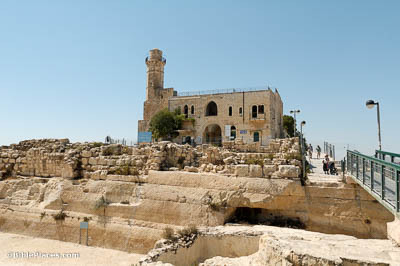 It is the traditional location of Samuel’s tomb, frequently visited by Jewish pilgrims. Most scholars, however, disagree with this tradition. You are the sons of the prophets, and of the covenant which God made with your fathers (Acts 3:25). 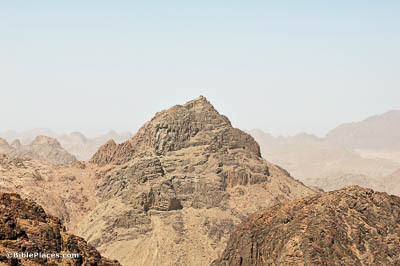 The mountain pictured here is called Jebel Musa (the mountain of Moses), and it has been identified with Mount Sinai since at least the 4th century AD. It was at Mount Sinai that the Lord made his covenant with the Israelite people (Exod 19–24).